FORMER Test captain Michael Clarke wants to make a cricket comeback to help Australia recover from the ball-tampering scandal. After two years in retirement, and with Australian skipper Steve Smith, opening batsman David Warner and young gun Cameron Bancroft all serving suspensions, Clarke is offering his services free. "I would do anything to help the Australian cricket team," he said. 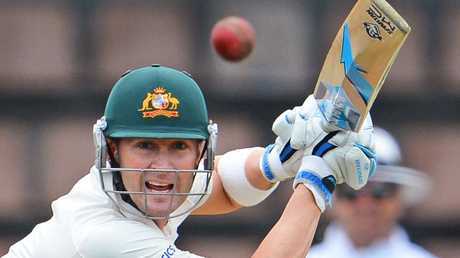 Over coffee at a Darlinghurst cafe on Thursday, 37-year-old Clarke said: "Age is age. Is 17 too young? "I've never cared about age. Brad Hogg played at 45. "It's like getting back on a bike. I'm as fit and healthy as I've ever been. The time away has been great for my body." Clarke arrived wearing gym gear, having just finished two hours of hard yakka, like he does every morning. He is a picture of health, but anxious about his offer to help out and how the Australian public will react. This isn't about dancing on Smith's grave. It's a very temporary solution - not to be considered in six months, but now. "To be honest, I'm so nervous about the headline and how it's perceived," he said. "But I can't just sit here and do nothing. I feel I owe the game too much. 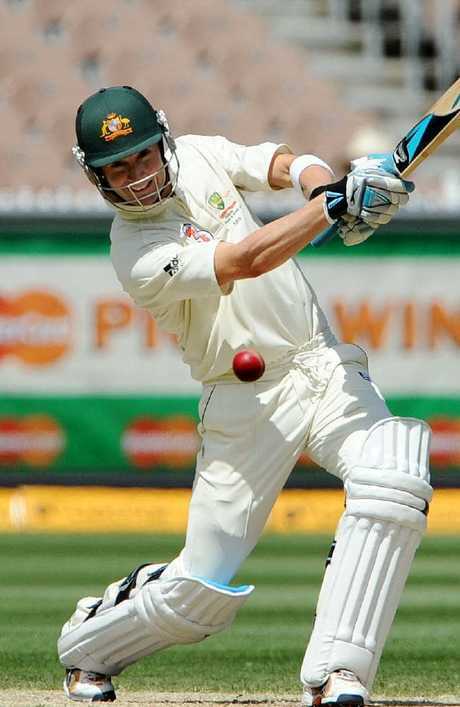 "I've experienced a lot of great things in cricket but some tough times as well. "I've got the experience to help these young players and that's where our focus should be right now until the other guys come back." The trio have accepted their sanctions, with Smith and Warner banned until March 28 next year. The star pair will miss 48 international matches - 12 Tests, 29 one-day internationals and seven Twenty20 internationals. Low-profile Tasmanian Tim Paine, who was not even keeping for his state when he was recalled for the Ashes, is facing a monumental challenge to lead the side in Smith's absence. Clarke, who left for India on Friday for his IPL broadcasting commitments, has SMSed his offer to Cricket Australia chief executive James Sutherland but is still waiting for a reply. It is understood he will do net practice while on the subcontinent in case the call comes. 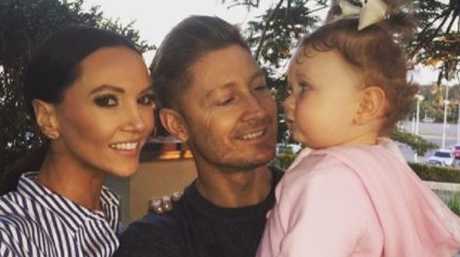 Clarke and wife Kyly have one child, two-year-old Kelsey Lee. He doesn't want a contract or any payment, just the opportunity to help. "I don't need a job," Clarke said. "I'm very happy with my life and my girls. "I think all of Australia is now feeling a bit for the suspended guys after their press conferences, their remorse and all the tears. "But I'm really worried about the 11 blokes who are left to take the field. "At the moment they're unsure how to play. "It's like they're treading on eggshells. They're scared. "Do they say anything? Can they get aggressive? They don't want to offend. They're scared of the perception they're not liked. They are so unsure of how they should play." Clarke is also concerned about how they will be treated overseas. In two months there is a limited overs series in England, where the press coverage of the ball tampering has been the most vicious. Michael and Kyly with Kelsey. In summer there is a four-Test series at home against India, ranked the No. 1 team in the world. "They'll be called cheats," Clarke said. "Crowds will abuse them. They'll go for their throats. "There's no sympathy or feeling sorry for players at the highest level of sport. It will be tough with no love lost. "All opponents from here on will go hard and do anything they can to take advantage of the current situation. It's why some decisions need to be made ASAP." Clarke feels the crisis could set Australian cricket back for years. "We're now ranked fourth in the world." he points out. "I'm worried about it. I don't want us to be like the West Indies. "I want mums and dads to want their kids to keep playing cricket. It's as close to my heart as anything has been to me. If it’s not as a player, Clarke will help out wherever or whenever required. "We're not talking about the next five years. It's the next six months and we need to fix it now. "If Cricket Australia asks me, I'd drop everything to help out." 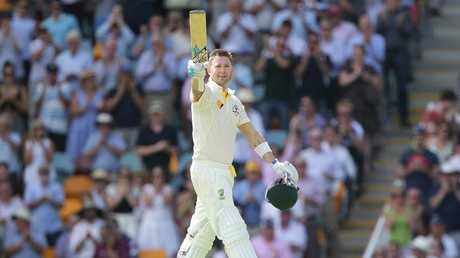 Clarke has no issue with Paine but knows the pressure he is facing, particularly after a humiliating fourth Test defeat in South Africa that exposed a batting line-up lacking star power. "Tim's a great fella and he's done well since being thrown into the role," Clarke said. "He's played enough cricket and his experience will help him but he can't do it on his own. "He needs help, guidance and some leadership around him to help get this team back on track. "So many people have put in so much effort to get Australian cricket to where it's been. The Chappells, Border, Steve Waugh and Ponting. "We should all be helping out where we can. I'm not long out of the game. I know the current players. I've had enough experience to be able to help." If it's not as a player, Clarke will help out wherever or whenever required. "If they asked me would I fly to England while Steve Smith is playing county cricket to spend three months mentoring him, most definitely," he said. "If they asked me to speak to Tim Paine on the phone as the current captain any time he rings you, most definitely. 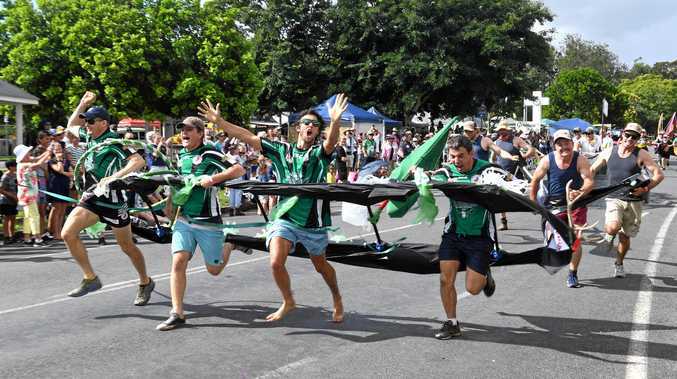 "Will you go and talk to the Australian Under 17 boys and make sure that in five years' time - when they are representing Australia - this never happens again, most definitely. Anything I can do." Clarke feels that despite Australia's now battered reputation, the team can still play aggressive cricket. "If you play good, tough competitive cricket you will be respected," he said. "There's no line in the sand and it's simple. You play hard but fair and don't get personal." In a Telegraph poll of 4200 readers, 53 per cent wanted Clarke to return as captain, while 47 per cent wanted him to stay retired. 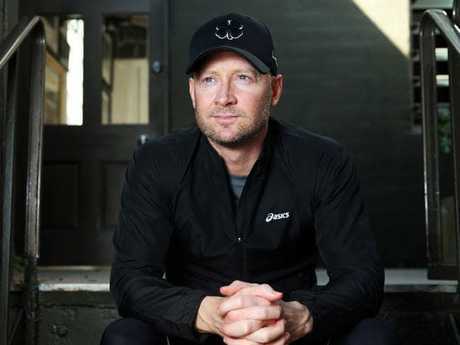 Clarke was a divisive figure during his career and admits he's made plenty of mistakes, although nothing near as serious as the ball-tampering scandal. It's why he feels he owes it to the Australian public. "Sometimes you can forget how lucky you've been," he said. "I sometimes think back to growing up in Liverpool and earning $168 a week at Kingsgrove sports store and driving a lime-green Holden Gemini. "Without cricket I'd still be doing that."